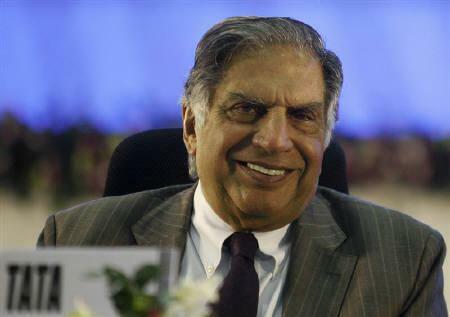 Even after his retirement, Tata leads a super-active life as head of the Tata trusts and with his investments in many start-ups, apart from pursuing his other passions such as flying, says Shyamal Majumdar. 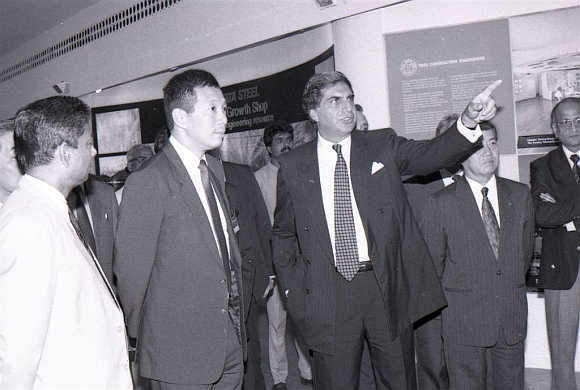 When Business Standard was born in Kolkata in 1975, Ratan Tata was in the final stages of his first independent assignment in a Tata group company. The director-in-charge of National Radio and Electronics (Nelco) had managed to turn the company around within four years of joining, but it collapsed later because of an economic slowdown and labour problems. In 1977, Tata’s second shot at glory, at Empress Mills, also flopped. No one could have imagined – the erstwhile satraps in various Tata group companies certainly didn’t – that the shy individual in his early 30s who had nothing much to show except a famous surname would dominate India’s corporate landscape for the next few decades. But Tata did, and how. There were hardly any red marks in the group’s financial scorecard in the 21 years that he was at the helm until he retired in December 2012. Revenue grew 46 times to Rs 4.75 lakh crore (Rs 4.75 trillion) in 2011-12 and the rise in net profit was even more spectacular, climbing 51 times to over Rs 33,500 crore (Rs 335 billion). 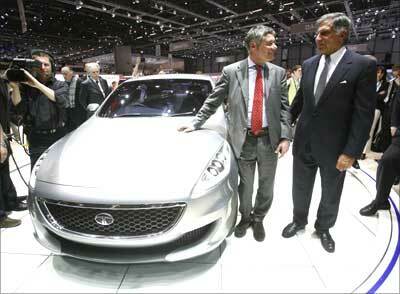 Investors applauded and the group's market capitalisation grew 33 times during the Ratan Tata years. But financial performance is just one part of the reason why Tata remained the king of India’s corporate scene and left a deep imprint in India’s corporate history. As The Economist said, “You can live in a house, drive a car, make a phone call, season your food, insure yourself, wear a watch, walk in shoes, cool yourself with air-conditioning and stay in a hotel, all courtesy of Tata firms”. One of Tata’s biggest contributions has been converting a ragtag, slumbering conglomerate with overlapping businesses across multiple companies into a cohesive group which became battle-ready to face the challenges of an economy that was opening up in the early 1990s. So the group got out of businesses such as cement, textiles and cosmetics even as it increased its focus on others such as software, and entered telecommunications, finance and retail. He also realised that the promoting firms held minority stakes in several key group firms, making them vulnerable to takeovers. That has changed with Tata Sons' holding in most group companies now around 26 per cent or more. The move was a sea change from the earlier corporate commonwealth model. All group companies were also required to sign brand equity and business promotion agreements with Tata Sons before they could use the brand name. In an interview posted on the group’s website, Tata said one of his most satisfying moments as chairman was the welding of “the organisation together in a more cohesive way than it had been in the past, that it was able to identify itself more as a group”. He has clearly walked the talk. At a time when globalisation was still a new idiom, Tata took the lead not only in terms of marquee acquisitions but also in changing mindsets. 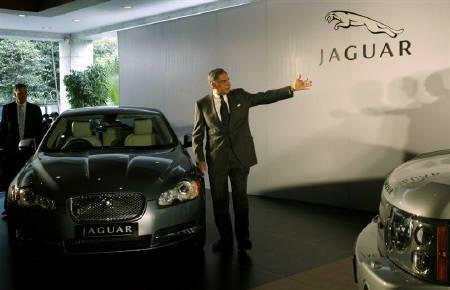 When Tata took over, the group's global revenues were only 10 per cent; when he left, that figure was at 67 per cent with operations in more than 100 countries. 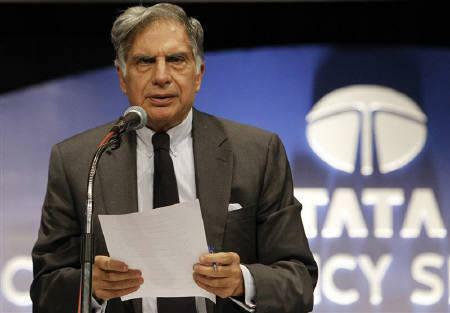 The earliest evidence of Tata's thought leadership is in a document known as the Tata Plan that he authored in 1983. JRD Tata got him (he was then Tata Industries' chairman) to draw up a blueprint for the future. The report had recommended that the group seek substantial growth in international operations and go in for restructuring to address the global opportunity better. For Tata, globalisation meant not only venturing outside India to generate revenue but also becoming globally competitive at home. Listen to him: “We have two guiding arrows. One points overseas, where we want to expand markets for our existing products. It certainly has not been roses all the way in global acquisitions. While the Jaguar Land Rover deal has been a flamboyant success, Corus has proved to be a financial disaster. Some of the buyouts have also left a few of the group firms deeply indebted and underperforming. But the Tata Group’s focus on innovation, exemplified by the Tata Business Excellence Model (any company that used the Tata brand name or logo had to abide by it), is the reason why the Tata brand is now considered among the top in the world. He was one of the first Indian entrepreneurs to realise that Indian companies had become a prisoner to tradition and needed to radically innovate through collaboration among group firms. Some of the results are there for all to see: Swach, the low-cost water purifier, was born out of the collaboration between Tata Chemicals and Titan Industries. Tata Chemicals has also collaborated with other group companies like Advinus for drug delivery research, and Tata Tea for packing micronutrients in drinks. Some of the group's innovations include its first indigenous car, the Indica in 1999, Ginger budget hotels in 2002, small truck Ace in 2005 and super-computer Eka in 2005. There have, of course, been some failings as well. 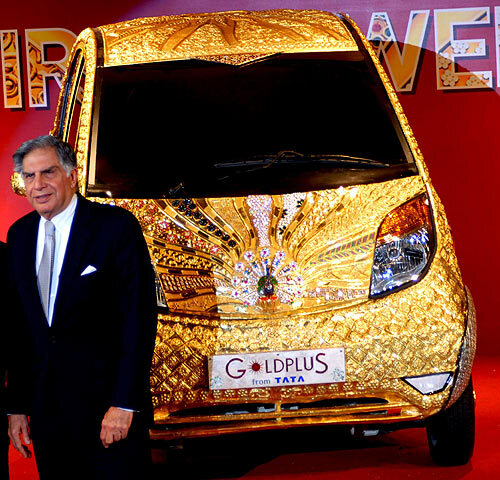 For example, many say Tata made frugal engineering an end in itself, as is evident from the rocky journey of the Nano. 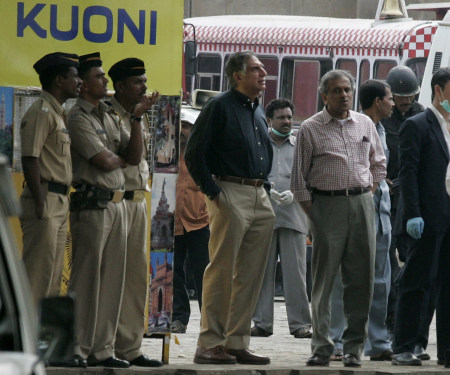 For a man known for integrity – Tata stood by his principles even though it led to the axing of the Tata Airlines-Singapore Airlines proposal in the late 1990s – it is surprising why he needed to promote Nira Radia as his trusted public and government relations adviser, thereby embroiling the group in needless controversy. 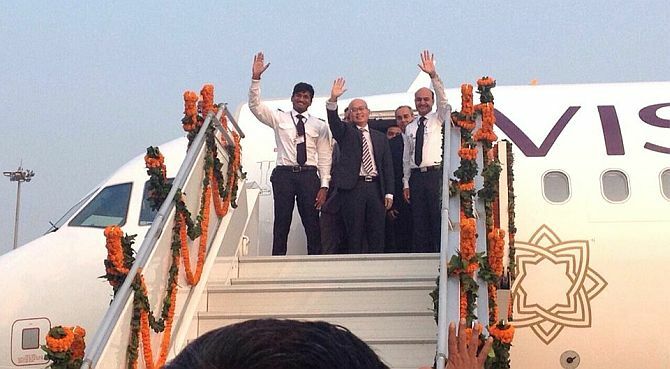 Even after his retirement, Tata leads a super-active life as head of the Tata trusts and with his investments in many start-ups, apart from pursuing his other passions such as flying. 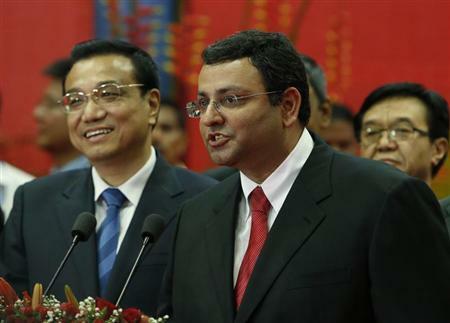 His successor, Cyrus Mistry, has much to thank him for, one of them being the generational change that the group has undergone recently, the seeds of which were sown by his predecessor. 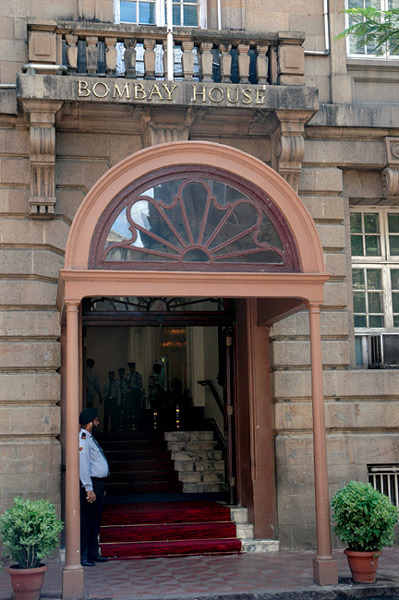 A former Tata Sons board member says removing the satraps was only one part of the story. He recalls the days when the company was run by geriatrics – a director once came to a board meeting in a wheelchair with a nurse in tow. Despite the constant flip-flops in the Tata group’s retirement policy, could anyone have imagined that the age profile of Tata bosses would be what it is now? All are in their mid-forties or maximum early fifties. That itself is something Cyrus Mistry should thank him for.